Please welcome our new First Year Academic Librarian Experience blogger Lily Troia (@LilyTroia), Digital Services Librarian at the College of William and Mary, primarily working at the Virginia Institute of Marine Science in digital scholarship, open access, and research data management. This year marks the 9th annual International Open Access Week, a celebration that engages the global research community in issues surrounding openness. Open Access Week was first launched in 2008 by SPARC®, the Scholarly Publishing and Academic Resources Coalition and student partners, and seeks to raise awareness of, and encourage participation in, open access advocacy, working towards the goal of making openness the default in research. This year’s theme, “Open in Action,” aims to motivate individuals, institutions, and organizations to take concrete, actionable steps towards increasing open access to scholarly materials. Access to research and scholarly articles gets to the heart of the library and information profession’s ethos. Conditions around access to information have the power to sharply segregate society into haves and have-nots—a circumstance acutely represented in the serials crisis academic libraries have been grappling with for 20 plus years. In a 2013 TEDMED talk, Elizabeth Marincola, CEO of the Public Library of Science (PLOS), warns of the repercussions of this commoditization of information, and a society in which only students at the wealthiest schools have access to the best research. The open access alternative represents a commitment to the basic tenets of scholarly pursuits, and recognition of the incredible distribution potential of digital technology. The rise of the Internet Age has irrevocably changed the economic landscape for countless industries, especially those involving intellectual property, so it should come as no surprise that scholarly publishing would also face a similar reckoning. Yet open access offers all stakeholders an opportunity to evaluate what’s broken, what needs to be maintained, and to collaborate to create new methods and tools for communicating the fruits of research and academic labor to the widest audience possible. The benefits of open access might seem obvious, but to many in academia, they are not. In a recent webcast Q&A with Peter Suber, Director of the Harvard Office for Scholarly Communication, and author of the seminal work Open Access, Suber pointed out 30% of journals are now OA, and roughly half of peer-reviewed articles are OA after publication within two years, indicating incredible progress towards the goal of making open the standard. A recent report revealed the growth rate for open access articles double that of published research articles in general. Despite these heartening statistics, Suber noted librarians continue to be the drivers of most open efforts, a necessity to the campaign, but one that will fall short without equal engagement from faculty and researchers. Continued (and amplified) focus on outreach will be crucial to the movement. Certainly the public’s right to know should resonate with many, especially when considering taxpayers fund a good portion of the research. The limitless analytical potential of text and data mining across wide swaths of intellectual output cannot be understated. For some researchers, the requirement to share data or their articles may be reason enough, yet the benefits of increased exposure, substantial citation advantage, fostering of collaboration, and opportunities to have huge public impact, should be continually reinforced via communications and policy. 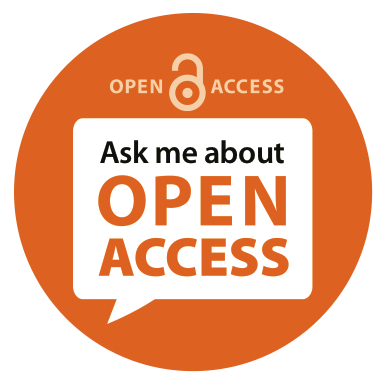 Since its earliest days of inception as a grassroots, scientist-led initiative, open access and the related efforts around open data and open research have successfully shifted the conversation in scholarly communication, with funder requirements for OA the norm, and self-archiving allowances by for-profit journals common. While the cause has certainly advanced, bolstered by the momentum accompanying public access mandates, cultural shifts in academia, especially those surrounding tenure and promotion, have been slow to respond, and wading through this extended transitional period has resulted in traditional models and subscription costs maintaining a firm foothold. Researcher participation, most notably in the humanities, is still far from universal. Scholarly communications librarians, those working with institutional repositories, and university administrators reveal concerns about slow shifts towards faculty buy-in and acknowledge researcher misconceptions around open access are prevalent. While the open access movement is specifically focused on scholarly journals, it represents a broader shift towards openness made possible by networked technology. Open data has been at the center of the research community’s discussion surrounding reproducibility, and has many other implications: data sharing can stimulate innovation; like new analytical tools, it enables new research questions to emerge when datasets are combined, it serves as an incentive for better data documentation, and it can reduce costs associated with research by eliminating redundant efforts and other inefficiencies. In addition, librarians must be ready to support non-traditional uses of data and collection materials – like digitization of archival materials, artistic projects, or software programs. While tangential to the serials-focused movement, special collections and archives must be involved in open initiatives, and educating information professionals working in these fields will be paramount to developing a unified message and building strategic alliances across the open data, research, and science movements. Suber acknowledged institutional change is among the hardest hurdles, yet implored librarians to maintain optimism, and encouraged actionable efforts such as blogging about open access, publishing their own works in OA outlets, and refusing to peer-review for non-OA journals. Advocacy to increase open access is needed now more than ever. Many organizations, professionals, and policy-makers are responding to the call, with targeted work aimed at building both internal and external support, and development of policies and platforms that promote greater participation. It is critical these conversations are inclusive, and identify (and work to deconstruct) the privilege and power structures inherited from our communities of practice. In a recent blog post, April Hathcock, Scholarly Communications Librarian at NYU, calls upon the open community to address ways the movement simply recreates the dominating “Western neoliberal research institution . . . fully colonized across the globe;” and notes any transformation of scholarly communications must demand openness and transparency in its own discourse. Above all, open access advocacy is about collaboration with all research communities, and the broader public, who are also key stakeholders—and investors—in this process. We must form alliances with like-minded publishers, expand our role in digital scholarship, and build public awareness around the ways that open issues touch all of our lives. Advocacy also involves enlisting the support of our institutional administrators, anticipating and addressing faculty concerns, engaging early researchers and even undergraduates, and ensuring all academic librarians are confident in their understanding of copyright, open licensing, and new modes of publishing. Forward-thinking institutions like William and Mary are creating new positions such as mine, focused on facilitating academic digital services, expanding open research, and recognizing the vital importance these roles play in promoting a healthier flow of scholarly communication. I feel incredibly privileged to have been tasked with organizing our International Open Access Week events here at William & Mary Libraries, and view these outreach and educational activities as essential components of open access advocacy and action. In 2009, when asked to give his outlook for the future of open access, Suber referenced the sage words of computing pioneer Alan Curtis Kay: “The best way to predict the future is to invent it.” The outlook of digital scholarship is riddled with unknowns, so it is up to us to engage various stakeholders and audiences, enlist their support in open access initiatives, and empower the academic community towards sustainability. It is up to us to ensure the dissemination of information is not stymied or stalled by lack of action, and to stand firm in our commitment to make certain the future is open.